"Would you like to see a picture of a murderer? 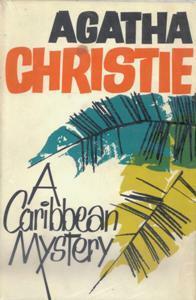 ", Jane Marple is asked by a stranger whilst on a luxurious holiday in the Caribbean. But before she has a chance to answer, the man abruptly changes the subject, and is found dead the next morning. Why has the photo vanished? Why is the hotelier prone to nightmares? Which guests are hiding secrets from their pasts or are not being forthright about their identities? And will Miss Marple be able to prevent the next murder?